Document tracking, in essence, is the most effective organization tactic that an office can implement in order to crate the most efficient office environment. Managing your files effectively can help any office determine what level of system will be needed to maintain order and efficiency within the office. Let’s face it, in most offices, clients and customers, however memorable by face, are categorized into a file – holding all the pertinent information and paper trails for that customers existence. Without an accurate way of knowing where each physical file is at any given time, can lead to a wealth of potentially expensive problems. Some may think that the worst thing that can happen without an effective document tracking system is that you won’t be able to find a file when you need it. However, it could potentially be much more detrimental in certain cases. For example, many offices, especially in the finance and legal fields, host personal information in these files such as social security numbers, bank statements and in some cases, copies of identification records – all aspects covered under the Privacy Act. Losing a file of this nature, if found in the wrong hands, can result in a hefty lawsuit for the company due to neglegence. In these fields, amongst others, this can mean a costly fix, as well as a damaged reputation, which no company should have to endure. The answer is simple – an effective document tracking system can allow any staff member to locate and retrieve a file within seconds – eliminating this risk completely! How Does Document Tracking Work? With the FILETACTICS document tracking software, we deliver state of the art technology to your office that will allow you to easily copy and track your files from their paper form onto a centralized database. We provide virtual tours of the transition and process that will train your office staff on how to work the system, as well as how to manage the physical files effectively. We have multiple options to help you organize and track your files including our color coded file tracking software – great for medical offices. Let us help you determine which document tracking software best suits the needs of your office or facility. Call us today to speak to a document tracking specialist. When it comes to an effective and smooth running office environment, there are certain elements that must be implemented, despite the industry you are in. First and foremost, your files are the key to your operation and learning how to properly maintain a sufficient paper trail can make a world of difference when it comes to your daily operations. Here are the top 5 reasons to implement an effective file tracking system in your office! The location of your files plays an important role in how efficient your production is. Being able to accurately locate your files can increase production by almost 25% per day! Since paper files can easily be misplaced, it is vital to your office to have an alternate way to find a file, especially in large offices. In this economy, everyone is looking for a way to save money – being able to access files when you need them, saves time, money and allows your staff to tend to their day to day tasks rather than spend time searching for files. Most file tracking software enables users to store pertinent information in a centralized database – this decreases the amount of time staff members are away from their desk – increasing production. FILETACTICS provides an innovative and effective way to increase the production of your office, while making it run consistently. We do this by offering a state of the art file tracking software that allows users to manage, maintain and track their files through a centralized database system. More importantly, we offer virtual training to help you ease into the transition! Within both the mortgage and any loan industry, there is a lot of required paperwork in each file that would make having an effective file tracking software worth the effort! Thousands, upon thousands of files have to be signed, documented and transferred on a daily basis. Without an effective applicant tracking system, clients and companies would quickly become lost. Generally, each month a typical loan office will generate between 15-20 new paper documents for each individual borrower. 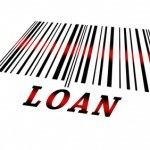 Loans are an important aspect of life since they can potentially save you thousands of dollars if structured correctly. For some, loans are their lifeline, their livelihood – simply because it allows you to get the money you need in one lump sum while paying the funds back over a longer period of time. So you can only imagine the consequences of lost loan files, or mortgage loans that suddenly didn’t get the attention they deserved – it would be catastrophic for both the mortgage broker and the borrower. Luckily, there is a solution to make sure such situations never arise. The FILETACTICS file tracking software is an affordable system that makes managing your files that much easier. Did you know that a missing mortgage file can cost up $300 dollars to replace? When taking labor costs and all additional fines into account and this number can grow even larger. Losing a file which contains sensitive information such as social security numbers, bank statements and mortgage bills can not only be detrimental to the borrower’s identity safety but it also puts the mortgage company at risk for negligence. FILETACTICS presents a safe, secure and easy way to eliminate this problem; in other words, with our file tracking software, we can ensure that such a problem never occurs. How does it work? Essentially, we have several different file tracking software programs which allows clients to create an online database of all their files which are organized by both the method you choose – i.e. borrower name, last four of social security number, location, etc. It creates stability in the organizational structure of a business and ensures that all old loans, as well as future mortgages, are never lost or misplaced. This type of file security can actually create a more productive structure which increases both the commission and closing rates of Loan Officers all over the country! Why was the FILETACTICS file tracking software created? Because we understand that nearly every mortgage office, regardless of size, is liable to lose or misplace at least 5% of their files each year – this equates to potentially three million dollars in revenue each year from the interest, commission and closing costs that each of these loans would have generated if they were closed properly. With file tracking software, such as the FILETACTICS File-Coder software, this statistic is reduced dramatically – it will pay for itself in a few months by saving businesses both time and money. There are numerous other facets of the FILETACTICS file tracking software that can be explored by companies. Besides providing a better way to locate files in the file area, an effective file tracking system can create a more stable environment within the office. What kind of file tracking system is best depends on the type of office that is being run, as well as the types of files that need to be stored. For instance, mortgage file tracking software, one of the more popular kinds, uses different tracking information than general file tracking software. It is important to have a customizable layout that will illustrate a) the type of company you are, and b) the type of files that are being tracked and organized. This is why FILETACTICS offers a completely customizable file tracking system which we will help you setup with a simple online demonstration! Another great feature of this file tracking software for mortgage offices is the affordability it brings. It is reasonable price and, for what it brings to a company, is extremely valuable. FILETACTICS offers a data conversion option which can convert your current files into whichever format you prefer. This means that companies can easily convert any type of data file into a different data file of their liking – upgrading their entire file system at the same time you implement the file tracking software – giving you a brighter future outlook for your files and your sanity for that matter! • Track mortgage changes. Even slight changes can affect a loan. • Keep all users on the same page. Does your file room look like a tornado just passed through it? File everywhere, loose papers on the floor – no REAL way to tell where the files are except for physically searching for it? You know, it doesn’t have to be this way! FILETACTICS has developed a fool-proof series of file tracking software that enables you to customize your file room as you see fit. We understand that each individual office has their own system which consists of very different needs. While some offices may use a standard alphabetical system to organize their files, others may be organizing by file name or social security number. There’s a wealth of different ways in which a company can attempt to organize their file room, but what happens once the files are in place? How do you track where they are? It is very easy for files to slide inside of each other or get misplaced while being moved around the shelves. For this reason, many businesses are looking into an effective file tracking system or software that gives them the ability to maintain a more efficient filing system as well as a cleaner file area! 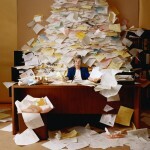 How Can a File Tracking System Avoid Chaos in the File Room? As you more commonly see in the medical, legal and finance fields, files are generally sorted by the patient/client last name. You may notice that each folder has a bunch of stickers along the side which is usually numbers, letters and sometimes barcodes. This is exactly what a file tracking system does – it labels your files while simultaneously creating a secondary file online for you to track. This enables office staff the ability to save time valuable time, at the very least, since they no longer need to search a messy file room for one individual file. The can log onto the file tracking software and receive the information they need as to the location of a file or quick reference to pertinent information within a file. What Information is Stored in the File Tracking System Software? Since every office does deem different types of information as important, FILETACTICS has developed a file tracking software system that is completely customizable for your individual needs. Whether your files are organized by closing date, patient name, social security number or current year – we can customize your file tracking system to reflect an up to date log for each of your files. This will create an additional database for your files in case one is lost or misplaced. Many utilize a file tracking system just to decrease the amount of files which are lost every year. Did you know that the average office losses approximately $200 per file that is lost throughout the year? This wouldn’t be so bad if the average office didn’t lose 3 out of every 10 files per year! It adds up at the end of the year, doesn’t it? FILETACTICS has years of experience in the file tracking system industry and have dedicated the same time to perfecting their file tracking software to accommodate the needs of any office. Despite the size of your file room, company, or archived files, our file tracking software works diligently to transform the file room or area in any office – creating a more efficient structure and production strategy. With a backup file stored online with all of your files pertinent information and an effective tracking system that marks each individual file – every office has the ability to handle more files simultaneously and effectively. Needless to say this can increase business tremendously. FILETACTICS offers an online demonstration for you and your office staff to walk you through the entire process, helping you get familiar with the file tracking system and file tracking software. We can even show you how to color code your files as well. ERM, better known as electronic records management has been helping companies stay afloat and in compliance with state, federal and industry guidelines and requirements. There are certain industries, such as insurance and banking industries, are more likely to benefit from such a powerful records management system. However, any industry who handles a consistent amount of paper files. Take a look at this short video clip which explains in more detail how ERM and records management software can help you organize and maintain a more efficient office.